"Pervasive games try to pervade, break through, to the real world. 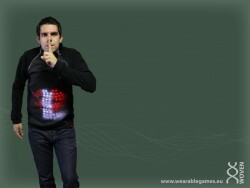 Not into a digital world but a game world around the player"
"E-wearables are wearable electronics (for example a watch), but still our basic clothing does not have any built-in electronics. 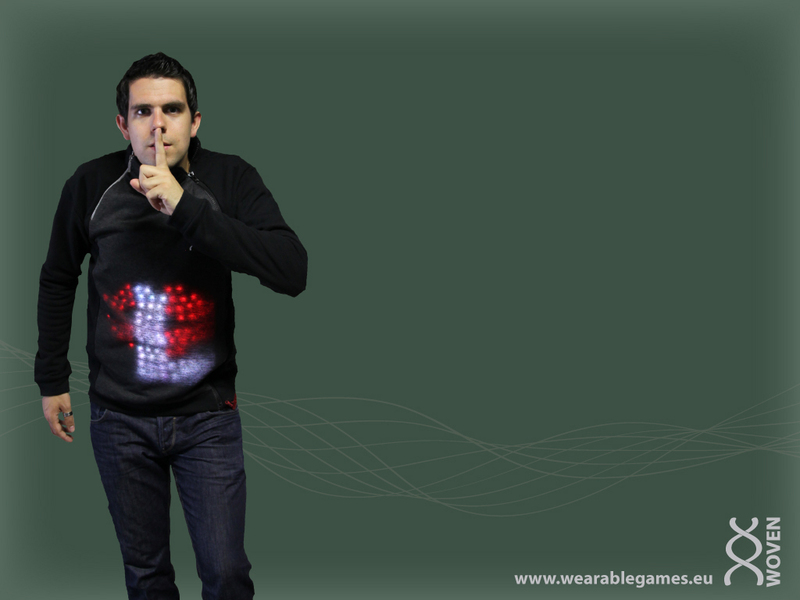 We want to change this with the first e-wearable (game) platform." "Without the platform Woven we cannot show the game SPOOKY. Without the game SPOOKY we cannot show the possibilities of Woven." 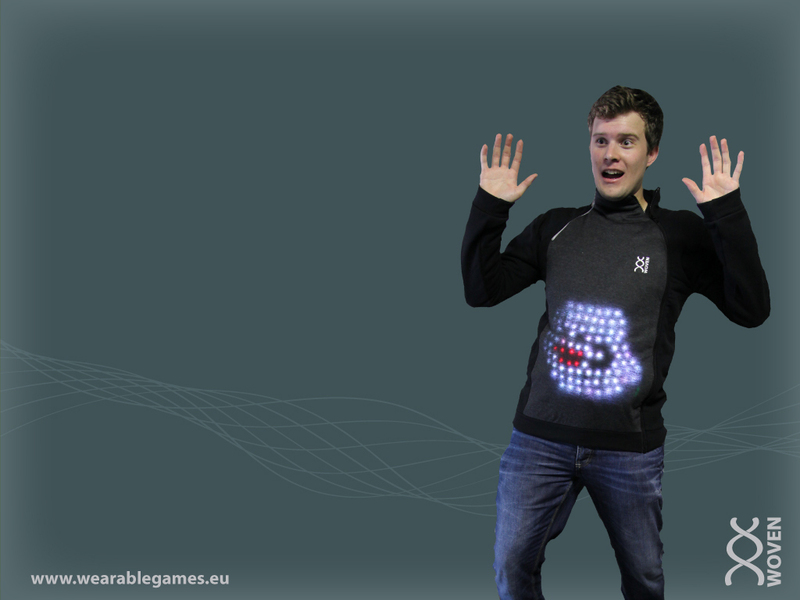 Wearable Games is a Master graduation project at the Utrecht School of the Arts created by Christiaan Ribbens and Patrick Kersten. 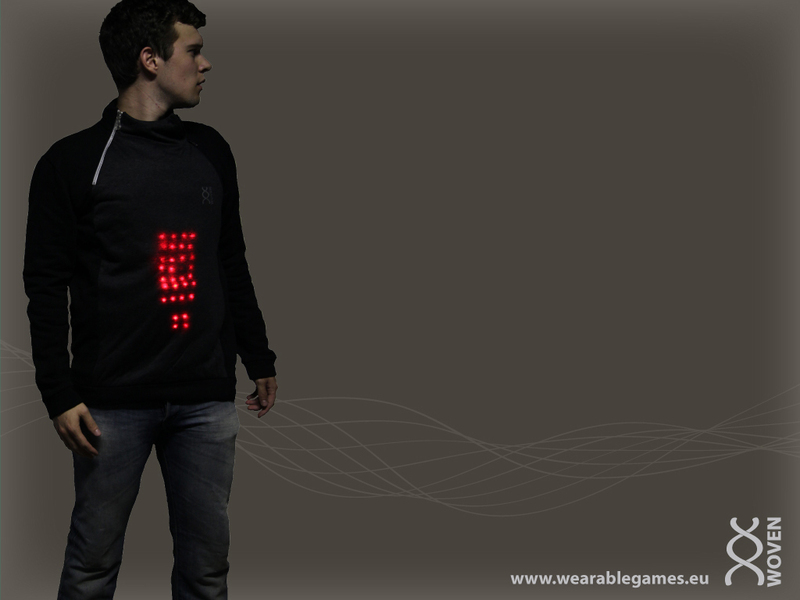 This project is part of the studies Game Design & Development and Interaction Design. The conceptualization of this project started in February and finishes at the end of August. The end result will be two sets of an e-wearable game platform including a pervasive game and many other small game/sport/app prototypes. With this website we want to share our experience creating this platform, the technology,the apps and games for this platform. For more information about the project, platform or games check out the different blog posts!